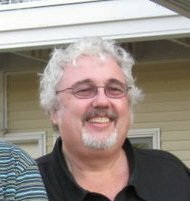 Gary Carlson wrote and published the independent comic book MEGATON during the 1980s, which helped usher in the do-it-yourself black & white comics boom of that decade. MEGATON is remembered as a training ground for comic book professionals. Erik Larsen, Rob Liefeld, and Jackson Guice are among those whose first professional assignments were for Carlson. MEGATON was also the first home to such Image Comics characters as Erik Larsen’s SAVAGE DRAGON, Rob Liefeld’s YOUNGBLOOD and Larsen & Carlson’s VANGUARD, which later prompted Liefeld to dub Carlson the “Grandfather of Image Comics”. In the ‘90s, Carlson wrote BERZERKER for Caliber Press, and co-created the retro anthology series BIG BANG COMICS with Chris Ecker. Carlson has also written various VANGUARD mini-series, back-ups and one shots for Image, where he also scripted MARS ATTACKS IMAGE and wrote SUPREME, TEENAGE MUTANT NINJA TURTLES volume 3, as well as editing and co-writing BIG BANG COMICS, which moved to Image Comics in 1996. He has also co-written Aquaman and NOVA with Erik Larsen.